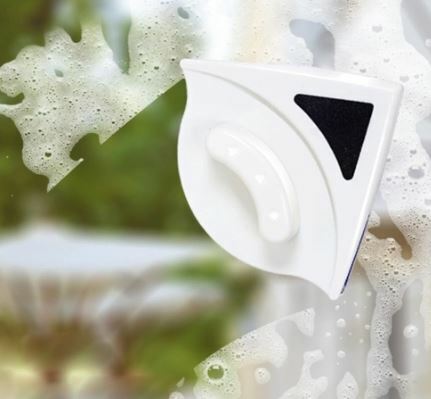 Baffect window wiper: Clean windows in a few seconds for $11.39? Sure, housework isn’t fun, especially when it takes up a lot of time. What if window cleaning suddenly only took a few seconds and was totally easy? The Baffect window wiper is supposed to help. You can read what to think of it here. Of course, window cleaning is not one of the most time-consuming or costly household chores, many simply take old newspapers and a little window cleaner. But if you have a few more windows of your own, you’ll be busy a little longer. So window cleaning robots become more and more popular, also technically more and more mature. But spend a lot of money on a simple activity like window cleaning? This is where Baffect comes into play. But how much effect does Baffect have? Put a safety loop around your wrist (known from the controllers of the Nintendo Wii). Attach the cable (safety rope) to a safe place. Open (slide) the glass cleaning surface on the wiper. Dip the sponge on the back into water. Add a small amount of glass cleaner. Spray windows with glass cleaner (not mandatory). 15-26 mm thick glass panes should be cleanable with it. 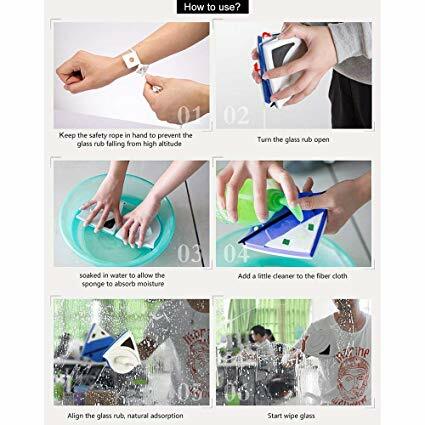 The product is also advertised as oneself being able to stay in the room to clean a window. Of course this is true for the window side facing the room, but what do I do with the outside of the window? 😉 Let’s leave that aside. A built-in magnet ensures that the wiper remains stuck to the window pane during handling and does not crash. The advertisement of the wiper makes working with the Baffect window wiper seem really easy. Nevertheless, you can be sceptical whether this is really such a big help, as the work is done quite quickly by hand. What do you think: Could this be practical or is it a mess? Video doesn’t display correctly in the app.